Self-care is important, but often we’re so busy we barely find time for it. 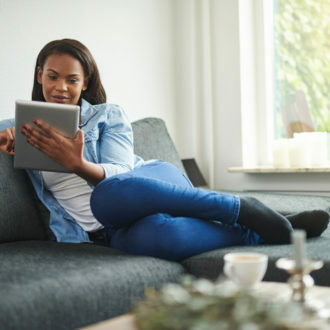 Carving out extra time in your day for some essential ‘me-time’ is a must. We’ve rounded up five tips on how to get an extra hour out of your day to focus on you! Decide what won’t get done today: Many of us start each day assuming we can tick off everything on our to-do list. As a result, we don’t decide early enough what to put off, and by the end of the day the choice has been made for us. Accept the limits of your day and make conscious choices on what to prioritise. Off with the digital alerts: It’s hard to make progress when a beep, buzz, or notification interrupts you every 30 seconds. This digital chain-jerking can be a drag on productivity. Turn off one or more alerts to regain time and focus. Prep one thing for tomorrow: Lay out your clothes, prepare your lunch, or jump-start your breakfast. This prep work will allow you to sleep that little bit longer and begin your day with less stress. 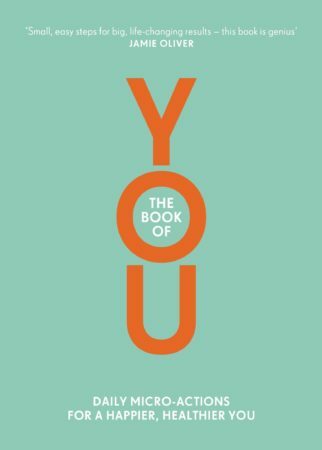 The Book of You: Daily Micro-Actions for a Happier, Healthier You (Penguin) by Nora Rosendahl, Nelli Lähteenmäki and Aleksi Hoffman. Give yourself permission to enjoy time for you. Know that no one is keeping score but you – no one can see that the kitchen isn’t spotless, nor will they know (or probably care) if you had takeaway pizza last night because you didn’t fancy cooking. 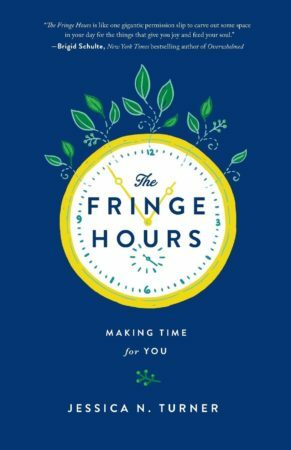 The Fringe Hours: Making Time for You (Fleming H. Revell) by Jessica N. Turner. Just as you would scribble a hair appointment in your diary, ‘choice time’, or ‘down time’, needs to be entered into your schedule. Tell a friend so that you’re accountable, and actually stick to it. 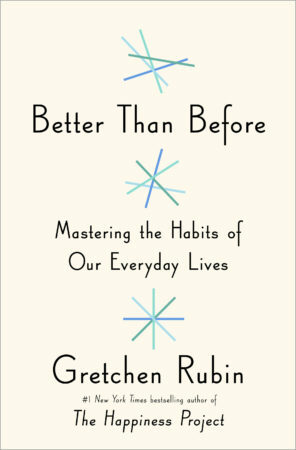 Better than Before: Mastering the Habits of Our Everyday Lives (Two Roads) by Gretchen Rubin. Ever feel that what should be free time is taken up with chores and to-do tasks? Combat this with a ‘maintenance day’. This means saving those tasks that take up your precious evenings – clearing your inbox and paying the bills – and throwing them all together on, say, a Sunday morning. Dull, perhaps, but you’ll feel wonderful once they’re done and have more breathing space for fun. 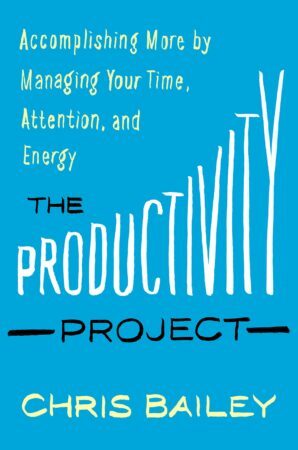 The Productivity Project: Proven Ways to Become More Awesome (Piatkus Books) by Chris Bailey. Ask: How Are You Spending Your Time? Use your diary to look back at what you’ve done in the last week. Map out work, evenings, early mornings, the people you saw, and the tasks you tackled. Now look at it as a whole. What gave you the highest return, professionally and personally? What was missing that you wish you had done? What things did you do that you wished you’d said no to? 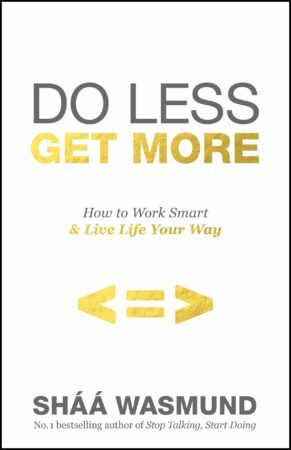 Do Less, Get More: How to Work Smart and Live Life Your Way (Portfolio Penguin) by Sháá Wasmund.